For part 5 of his recordings of the complete keyboard sonatas presented here, Christoph Ullrich doesn't need an introduction - his reverence towards this father of virtuoso keyboard music is always enthralling and rich in variety and has us on the edge of our seats. 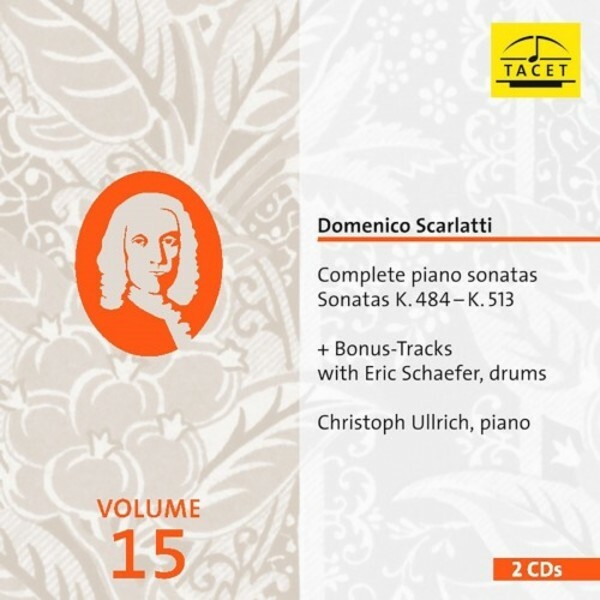 On this volume 15 of Tacet's survey of Scarlatti's works, they've added two fascinating bonus tracks: Ullrich brings the well-known percussionist Eric Schaefer into the recording studio. They have improvised together on two of the previously recorded sonatas and the result rounds off part 5. We can also reckon on more such surprises in the future!